For many patients, a single cosmetic procedure cannot achieve the full aesthetic results they are seeking. Rather than undergoing one treatment at a time, Dr. Bruno Lemay can combine several procedures into a customized smile makeover at Desert Dental Alternatives near Palm Springs, CA. We will work closely with you to select a number of procedures that will suit your preferences and budget. To schedule a smile makeover consultation, reach out to our practice today. A smile makeover does not refer to specific procedure, but rather a personalized plan that features multiple cosmetic treatments. By carefully planning and staging procedures with the end result in mind, we can achieve dramatic results while minimizing office visits, recovery times, and costs. Teeth whitening: We offer take-home professional teeth whitening treatments, which can brighten your smile by several shades. If you are experiencing the early signs of gum disease, we can also provide Perio Protect®, which is designed to improve periodontal health while also helping to brighten the appearance of teeth. Porcelain Veneers: These thin, durable shells are bonded to the surface of teeth to simultaneously obscure and correct a variety of cosmetic imperfections. 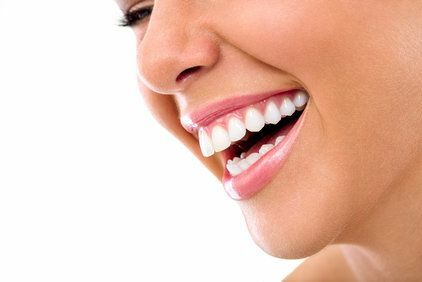 Gum Contouring: If excessive gum tissue is detracting from the beauty of your smile, we can use our precise, powerful YAG laser to create an attractive frame for your teeth. MTM® Clear Aligners: These clear trays are worn in order to gently move teeth into proper alignment. Orthodontic treatment with MTM® Clear Aligners is extremely discreet, since the trays are virtually invisible when worn. Additionally, the aligners are also removable, making them more convenient and comfortable to wear. Dental Bonding: Often chosen as a more affordable and minimally invasive alternative to porcelain veneers, dental bonding involves applying a tooth-colored composite material to the surface of teeth in order to fill in chips and cracks and hide blemishes. The shade of bonding material used will be closely matched to the shade or your smile in order to achieve the most natural-looking results possible. Cosmetic Restorations: If you have a damaged or badly decayed tooth, we can repair its function and enhance its appearance with a lifelike restoration, such as a composite filling or porcelain crown. We can explain the unique benefits of each procedure during your initial consultation. Save time and money: Often, we can perform multiple treatments of your smile makeover during a single visit, which helps to reduce costs and the number of appointments. Full Personalization: Each aspect of your smile makeover will be custom-tailored to achieve your unique goals and complement the other procedures you have selected. Increased confidence: By completely revitalizing the beauty of your smile, you can experience increased self-esteem in both your professional and personal life. Undergoing a smile makeover at Desert Dental Alternatives can help you achieve the beautiful-looking smile you have always wanted. To begin planning your smile makeover, schedule a consultation today.